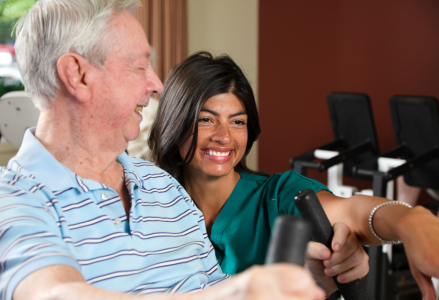 The pulmonary rehabilitation program at north jersey diagnostic and therapy center is designed for patients with copd (chronic obstructive pulmonary diseases) or other respiratory conditions that limit a patient’s ADL(activities of daily living). The goal of the program is to help the patient understand and cope with their disease process and increase functionality and independence. 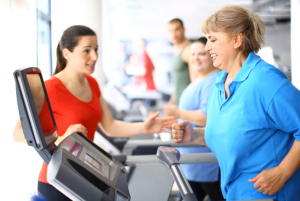 Pulmonary Rehabilitation can make a real difference if your life! You will be evaluated by a team of healthcare professional that will design an individualized regimen based on your current level of function with achievable short term and long term goals. You will be placed on a regimen of educational activities and a progressive exercise program to your individualized needs. A respiratory therapist will be there to coach, monitor, and mentor you throughout the program. Each session will last approximately one hour. You will meet with your peers that have similar respiratory difficulties and discuss what each person feels and go over techniques to improve their lives.